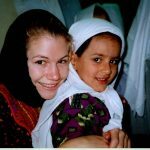 In 2009, Iraq adopted Law 20, “Compensating the Victims of Military Operations, Military Mistakes and Terrorist Actions” (the compensation law), to compensate for deaths, injuries, and damage affecting work, study, or property. The compensation law, amended in 2015, applies retroactively from March 20, 2003 through the present day and covers harm caused by the Islamic State or Daesh (also referred to as ISIS) or during military operations against ISIS. The compensation law recognizes that civilians in Iraq suffered immensely under ISIS rule, who took control of one-third of Iraq including Tikrit, Fallujah, Ramadi, Mosul, and Sinjar. Between January 2014 and November 2015, 3.2 million people were forced to flee their homes. 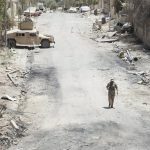 Thousands of civilians were killed and injured by ISIS as the group advanced to control territory and while it held territory. 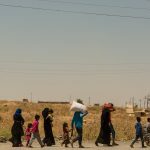 Military operations to retake territory held by ISIS—led by Iraqi Security Forces, the Hashad al Shabi, the Peshmerga, and the US-led anti-ISIS coalition—further resulted in thousands of civilian deaths and injuries, more than a million displaced civilians, and widespread damage and destruction of homes and cities. 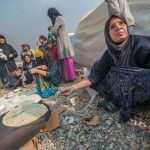 While no amount of money can ever bring back a loved one, Iraq’s compensation law is a crucial opportunity for the Government of Iraq to recognize the suffering of civilians affected by ISIS and military operations and help civilians rebuild their lives. Fair and effective implementation of this law may also contribute to improving civilians’ perceptions of the government’s willingness and capacity to support them and, in turn, make them less susceptible to attempts to sow unrest by exploiting unaddressed grievances. 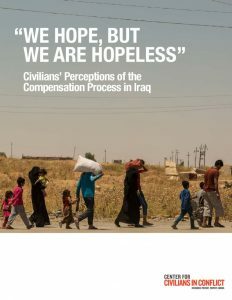 This policy brief presents civilians’ perspectives on the compensation law’s implementation. It also provides an overview of the compensation law, the structures in place to implement it, and the application process to file claims under it and proposes practical recommendations to reform the compensation process and make it accessible, fair, and effective. Note: The Arabic translation of this brief is forthcoming.